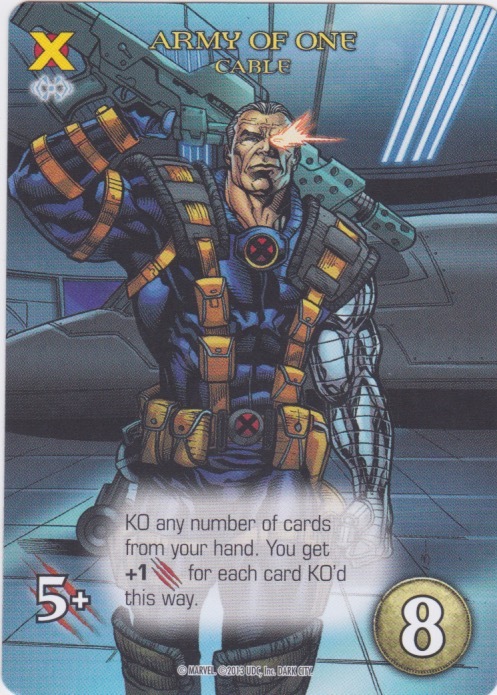 KO any number of cards from your hand. You get +1 Attack for each card KO'd this way. 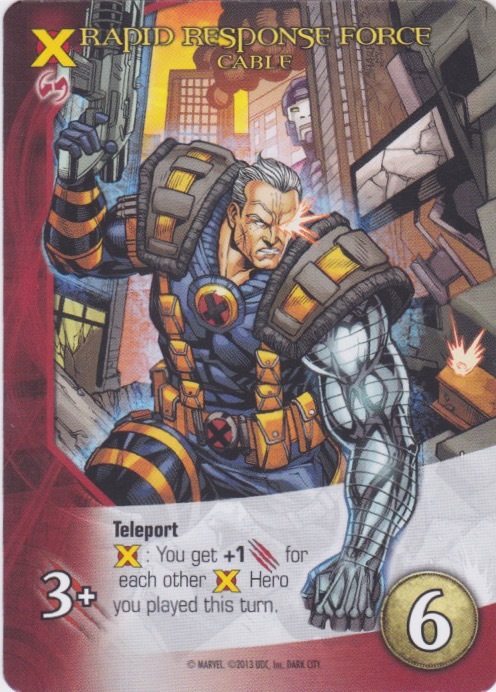 X-Force: You get +1 Attack for each other X-Force Hero you played this turn. 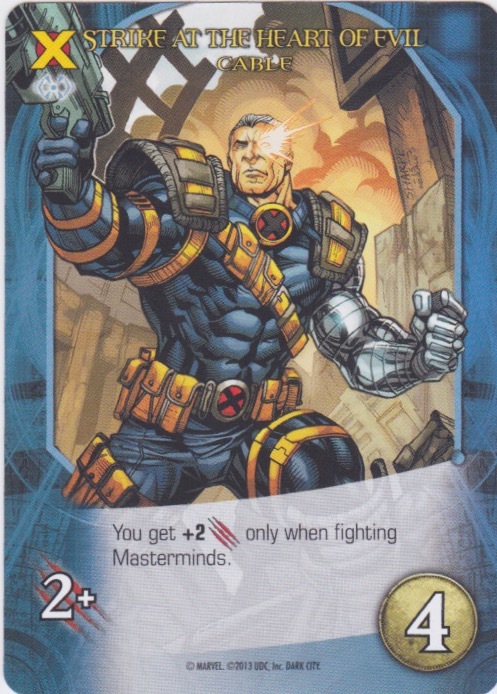 You get +2 Attack only when fighting Masterminds. 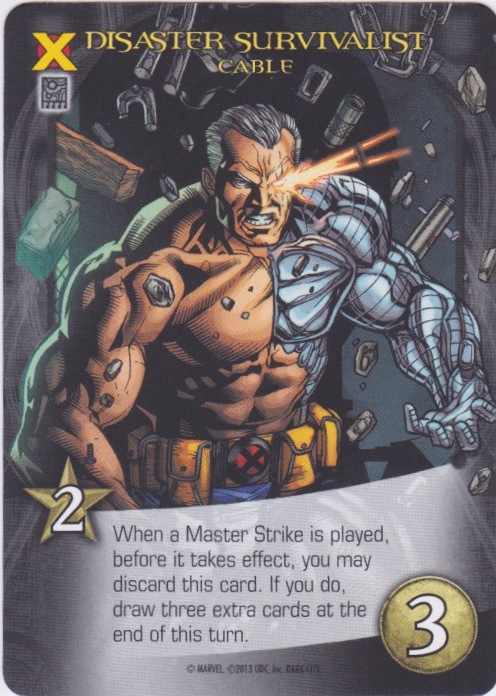 When a Master Strike is played, before it takes effect, you may discard this card. If you do, draw three cards at the end of this turn.